The joining of two people in a committed relationship is sacred. Why? Because our intimate partnerships offer an unparalleled path to the highest expression of our love for each other and for the whole of life. The Conscious Wedding Handbook was created to support couples who are beginning their adventure together, or who want to deepen or revivify an existing relationship. How do we design a wedding ceremony that expresses the depths of our commitment and the shared vision for our marriage? What are the building blocks of a lasting partnership that will bring out the best in everyone? 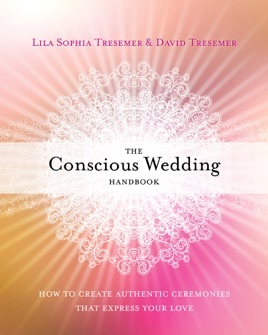 Lila and David address these questions and more, empowering readers with practical exercises for sustaining conscious partnership and covering everything from writing your own wedding vows, to choosing facilitators and guests, to the “Sacred Moment” at the core of a conscious wedding.